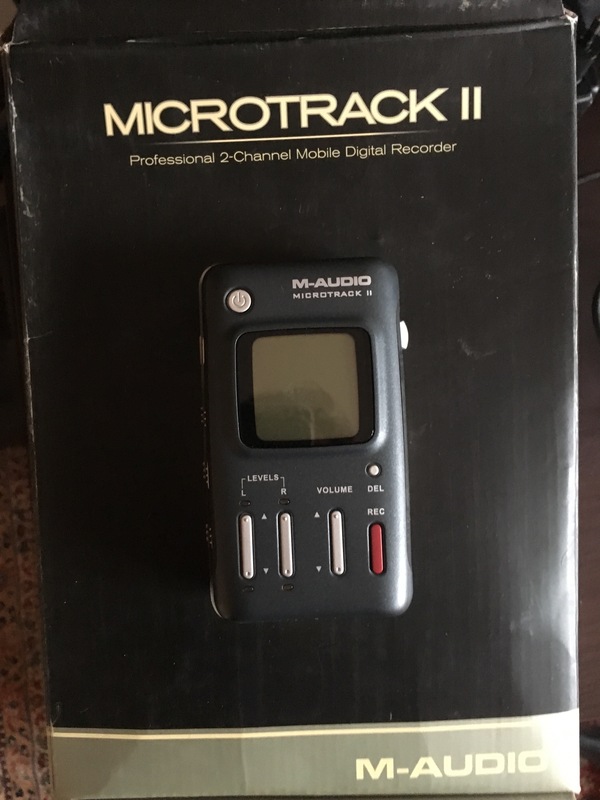 MicroTrack II, Pocket Recorder/Multitrack from M-Audio in the MicroTrack series. Yannick le Nantais's review (This content has been automatically translated from French)" Only with S / PDIF"
I use it for 2 years. 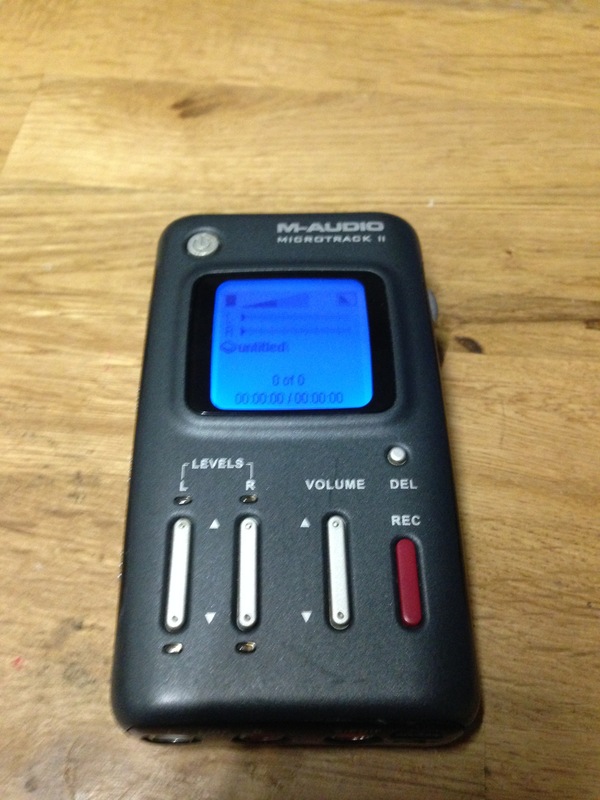 This recorder is the only market (to my knowledge) with a digital input S / PDIF format. 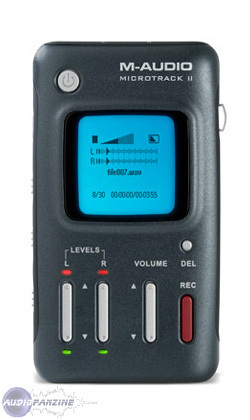 This allows to record digitally from a digital console. This is really handy in concert. 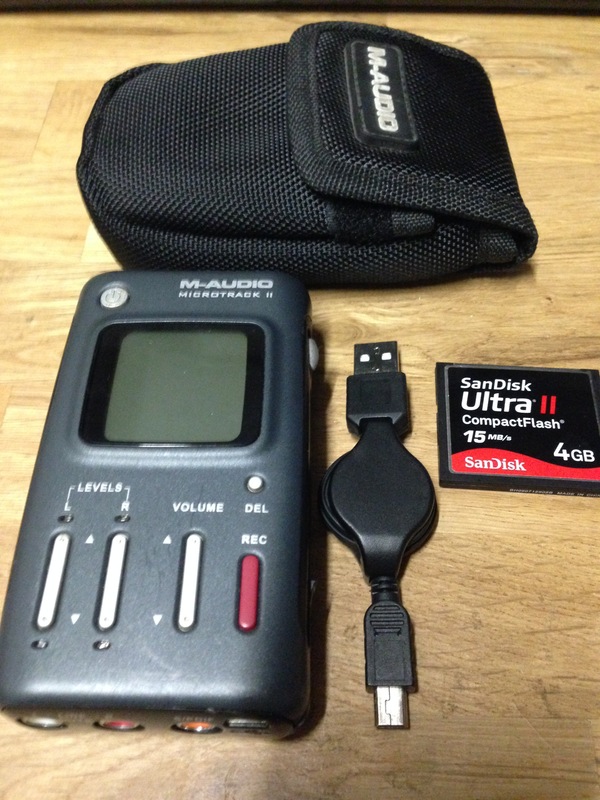 In addition, it records in 24bit 96kHz and. Wav. No drivers to install on your computer to transfer files. I am surprised that no other manufacturer have had the idea to propose such a digital input S / PDIF and Toslink (optical fiber). The stereo comes with the camera recording with the microphone is very good. The 48v phantom power on balanced inputs on Jack is also a very good idea if you use condenser microphones. The only drawback is the battery requesting a shipment service for a possible replacement. Personally, I always use AC power. With hindsight, I would do this choice because this is so far unique with its digital input. Pramp of super quality. 48V power supply between TRS with very convenient. Unlike what many have told me (notte Thonmann home or on the forum Audiofanzine) the 48v power supply can power a micro ncssitant 48v power supply (no need to xlr to power, there are adaptateursxlr-TRS) (I'm using at the moment an apex 435 and apex 180 and it works great). Super quiet with TRS input, it is fairly quiet with the MIC but noisy if carrment records connected to the mains (if not working with battery). The second is inconvnient for hard to find cables and adapters (TRS-> XLR). The troisime is that the battery can not be changed by the user. The quatrime is that it is fragile (30cm tomb -> button presses). Finally he sometimes bugger to boot. The just keep press the power button about 5 seconds. It fulfills its function but pricipale trs damage the finish or assi Bacle. I was indeed a noise problem when I wanted to check in online on the TRS inputs. The use of these entries was skewed quite impossible, making beats and hum recording impossible. I also noticed a noise at the input utlisation mimi jack 3.5, especially when the aircraft was powered by mains electricity, as pointed out aptly "azerty1988". So I sent an email to support M-Audio who answered quickly. TRS inputs, whether used in mic or line inputs, have to receive a balanced signal. How to record a signal from a source analog stereo mode on input TRS balanced, if not through a converter. M-Audio makes a preamp / instrument that converts an unbalanced signal into balanced, and therefore to attack the TRS inputs in the best possible conditions. More than a shadow of a noise! Sound of exceptional quality. This preamp M-Audio DMP-3, is a marvel of quality and the "obligatory passage" for successful recordings on the MicroTrack II, even when it is powered by mains. I've had two months to replace a MD with optical input (set the record from the table). I chose this model because below 700 or 800 euro is the only one with a digital input (SPDIF for once). My opinion will, therefore, that the record via SPDIF. 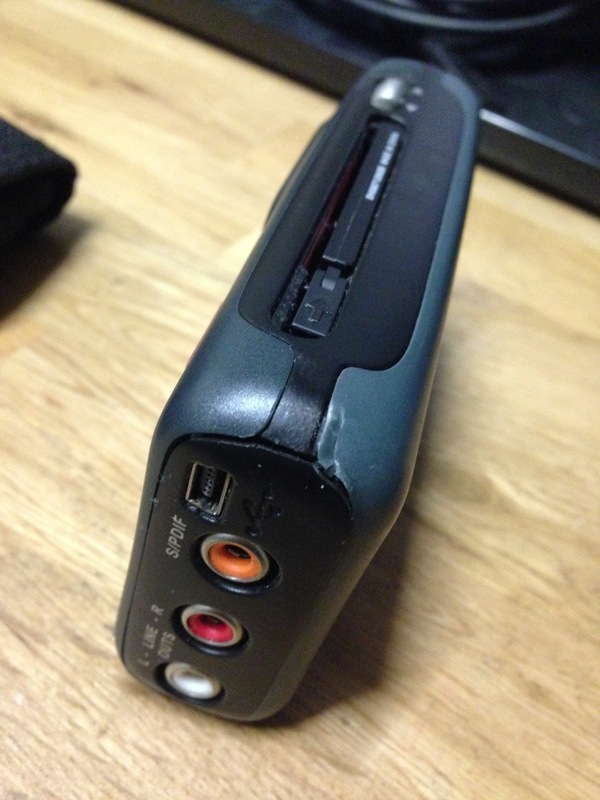 Firstly, the MP3 encoder is rotten. 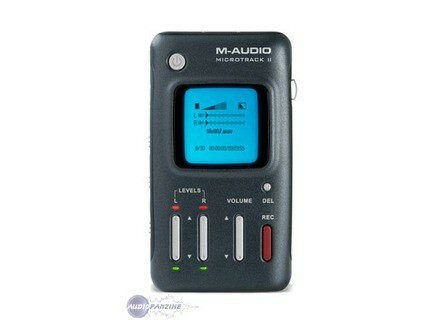 So I record to WAV and then encode to mp3 with Cdex (c and there much better). From the beginning, I have problems with "disappearing sound" recording (SPDIF I recalls). Everything is going well and after a while in the middle of a song, Puff the MTII tells me that there is no input signal ... I put on pause and wonder! It picks up again. This is not a frequency problem between my console (01V96) and my MTII given that he was able for example to record 15 minutes without problem. I do not believe a desync because I do not see how the fact of pause resynchronization (and then it's not the message that tells me the MTII). As a customer service executive but had found nothing, my home studio dealer is kind enough to send me a new one I'll test tonight (I'll tell you if the problem is solved). Low autonomy (although lower than my MD + which was to turn the cake all the same!) And non-replaceable battery (once dead, c good for beine in my opinion, except for sector). No identification of white (my MD knew how): Fun beaches 3h in a row at the end of the repeats (well, if the connection was not interrupted spdif meantime. It's actually a case I unfortunately never had the pleasure to know). NEXT DAY EDIT: Same problem by recording SPDIF. Ideally, I buy a new memory card from another manufacturer to see if the problem is there, but it fills me, I resell.